(Nanowerk News) Monthly temperature extremes have become much more frequent, as measurements from around the world indicate. On average, there are now five times as many record-breaking hot months worldwide than could be expected without long-term global warming, shows a study now published in Climatic Change ("Global increase in record-breaking monthly-mean temperatures"). 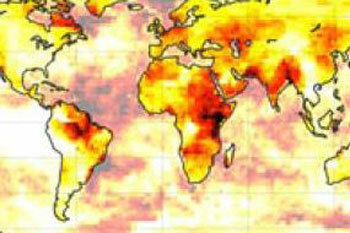 In parts of Europe, Africa and southern Asia the number of monthly records has increased even by a factor of ten. 80 percent of observed monthly records would not have occurred without human influence on climate, concludes the authors-team of the Potsdam Institute for Climate Impact Research (PIK) and the Complutense University of Madrid.